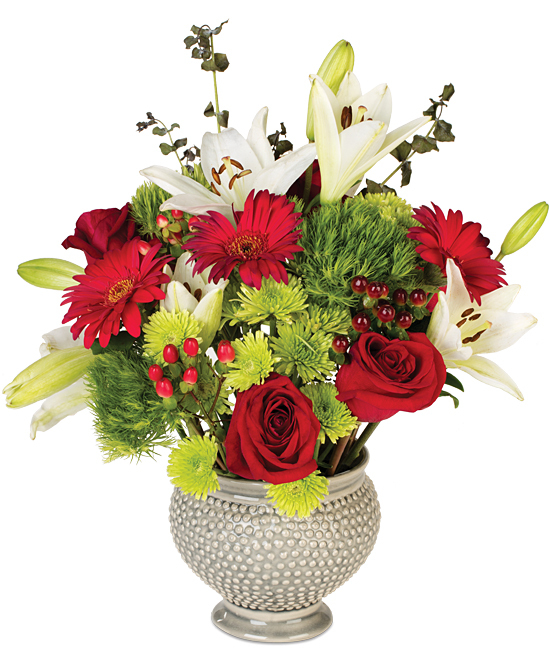 Defined as brilliant or gorgeous in color and appearance, splendor is indeed an apt name for this striking bouquet. The traditional Christmas color palette is represented by a one-of-a-kind ensemble, including roses, daisies, lilies, dianthus, Christmas greens, and novelty pom. Our silver bell ceramic vase completes the magnificent look, its silvery shade and hobnail texture toasting the season in style.